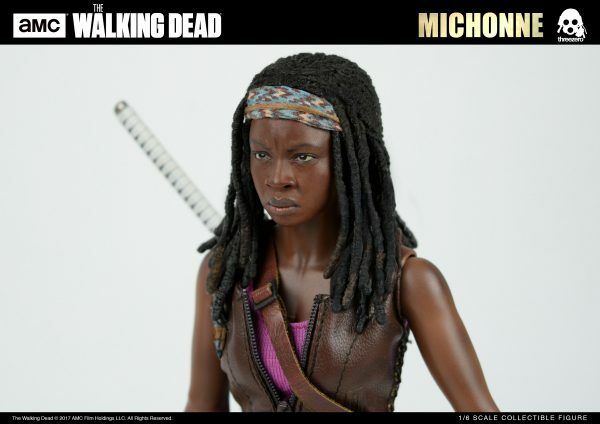 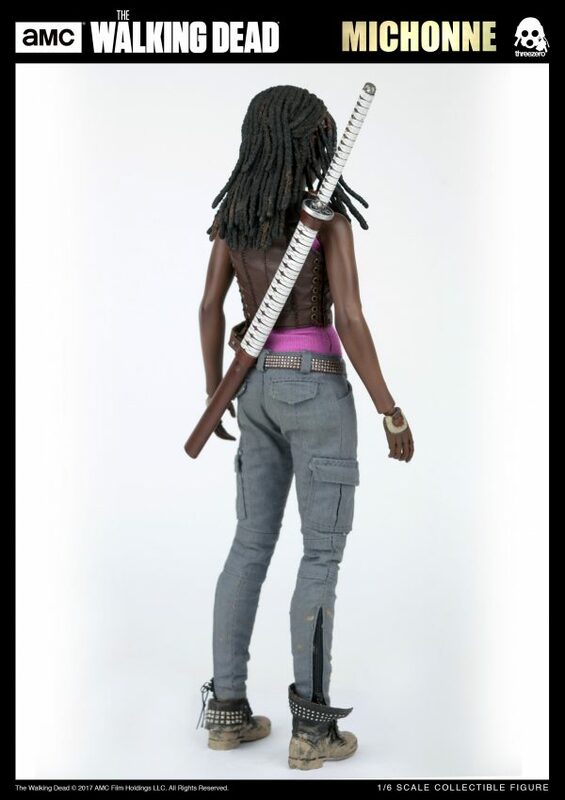 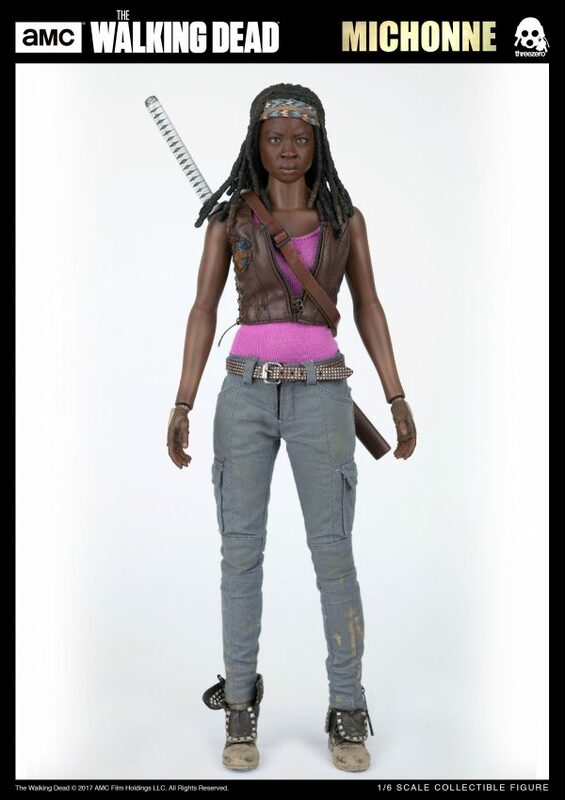 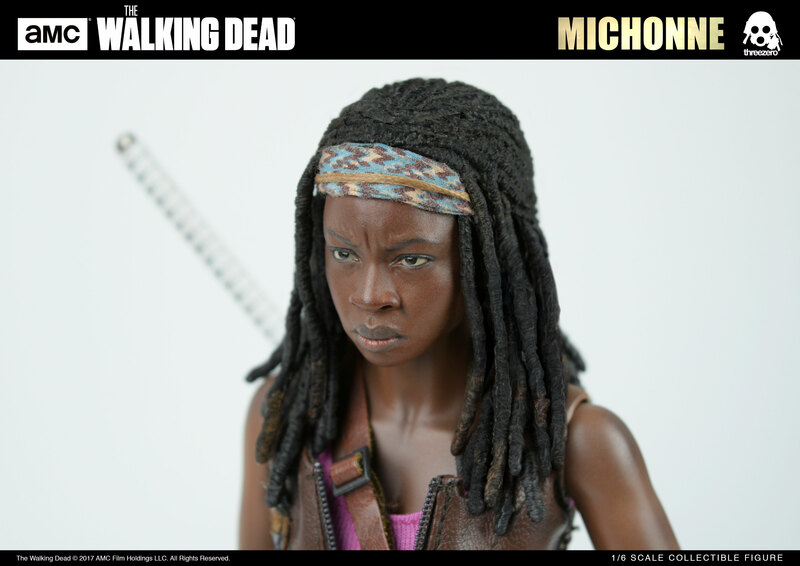 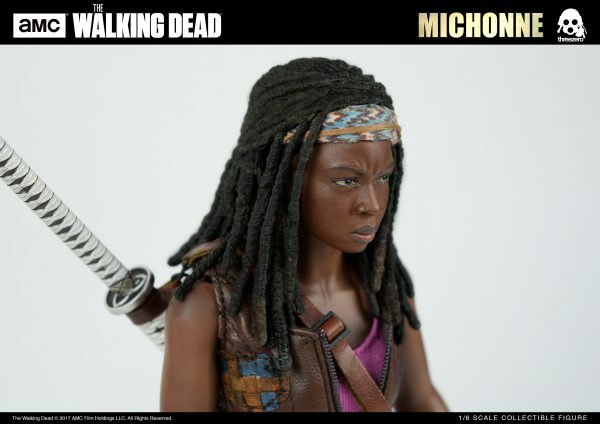 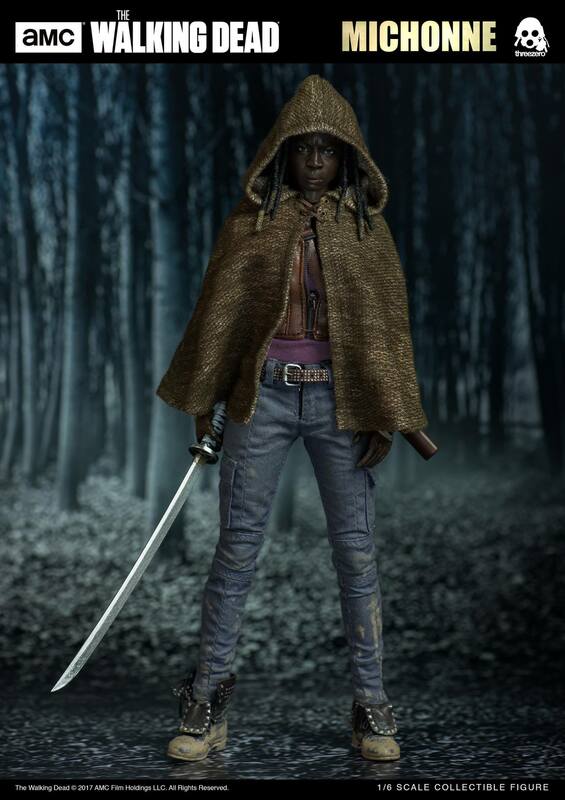 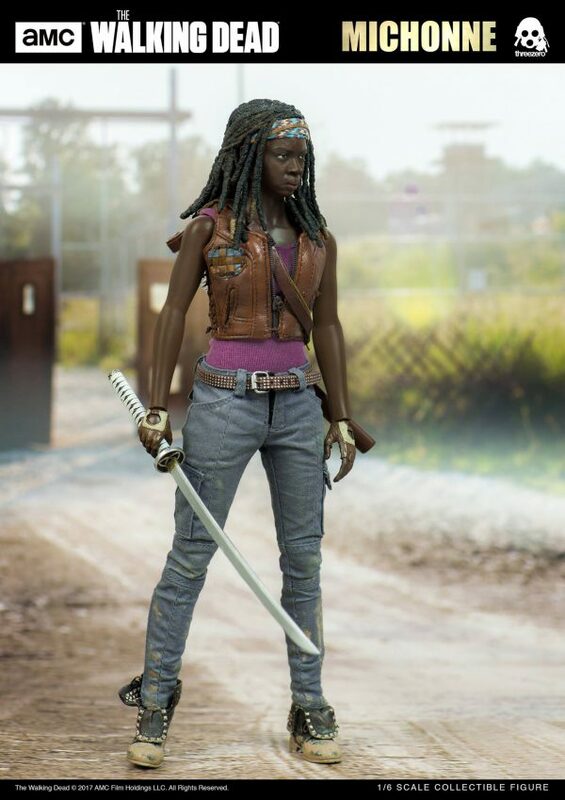 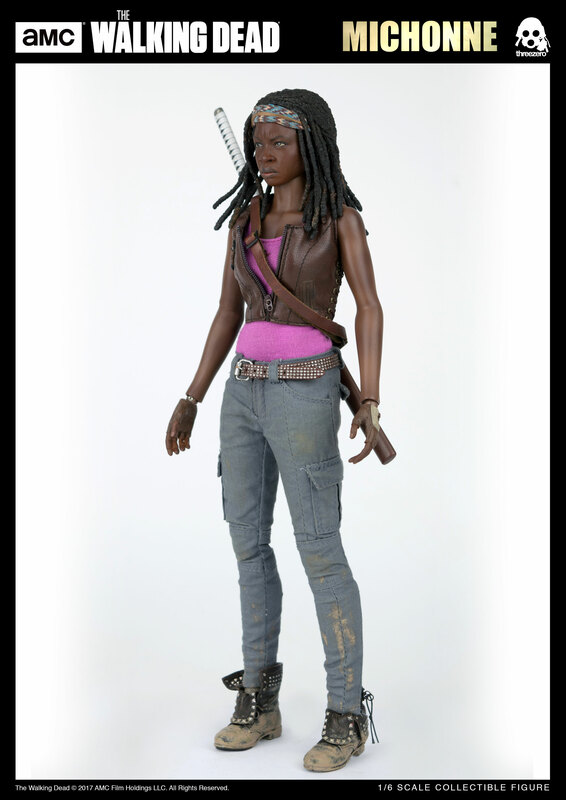 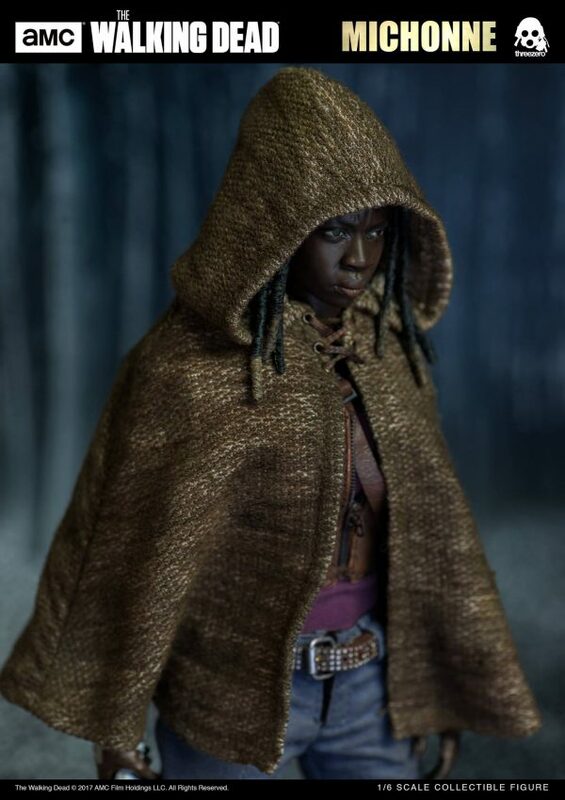 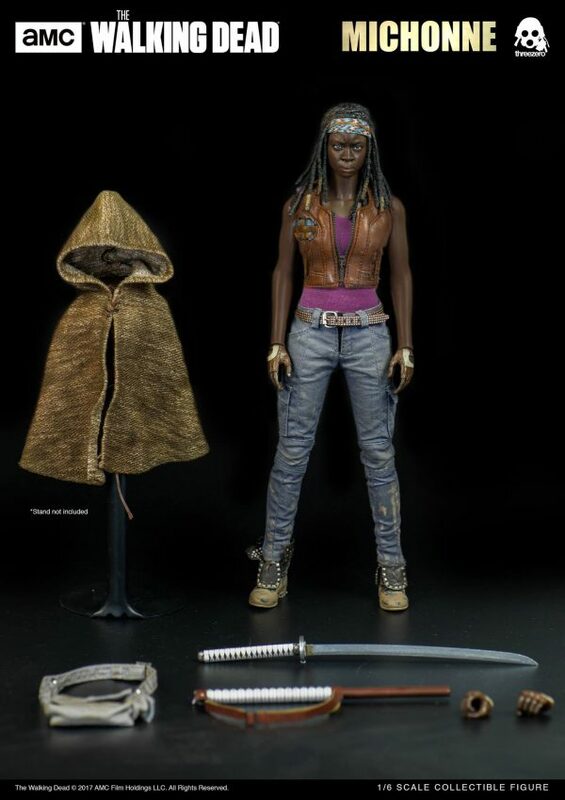 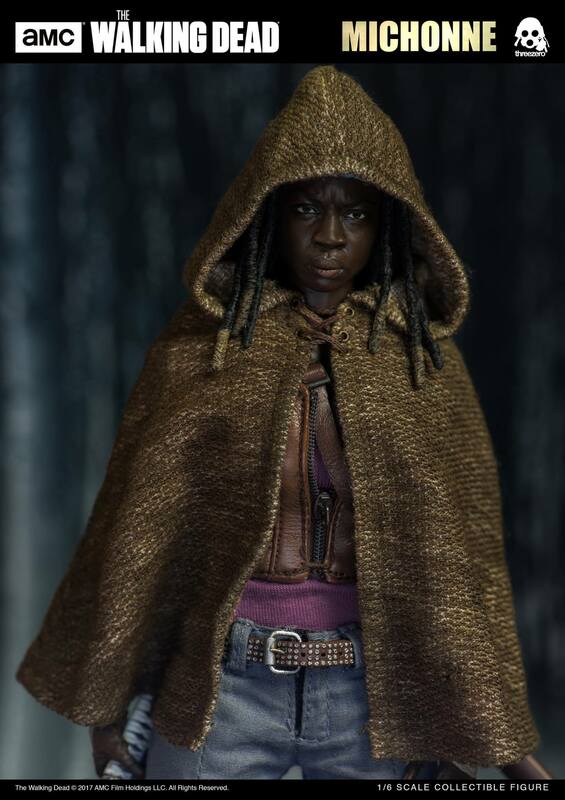 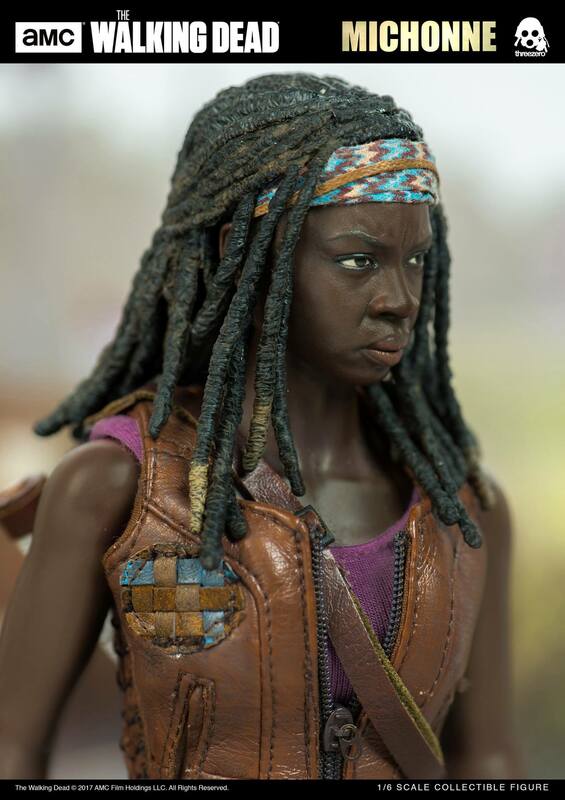 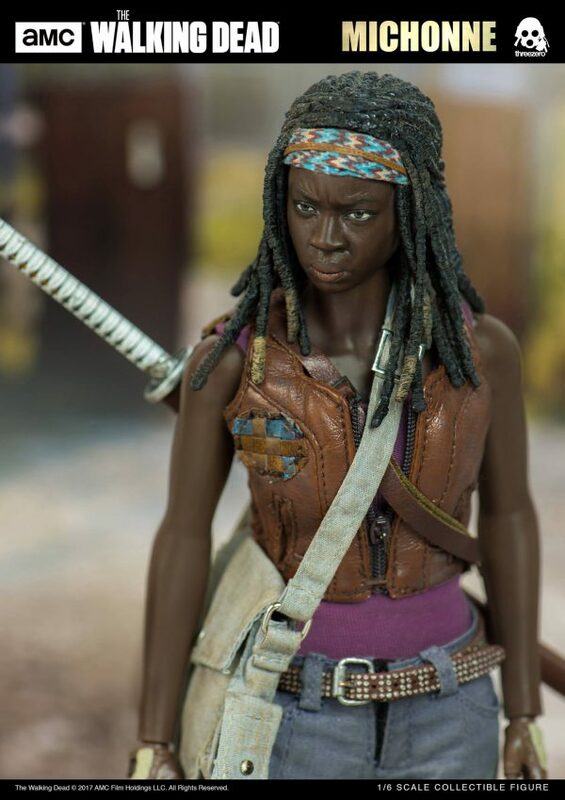 The Walking Dead – Michonne is available for pre-order at 165USD / 1285HKD with Worldwide shipping included in the price. 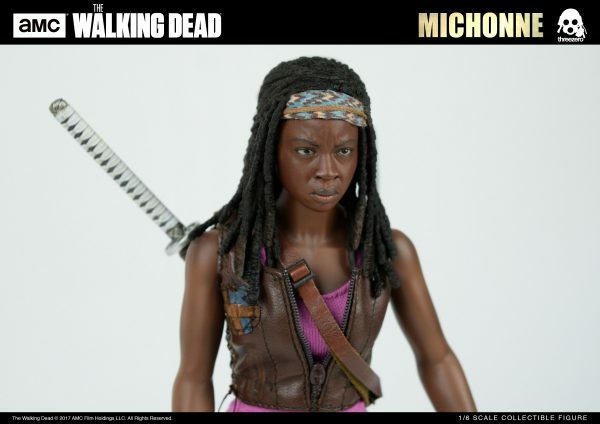 In addition we will have threezero Official Website exclusive and it’s 1/6 Michonne Premium Set With Pet Walker Twin Pack. 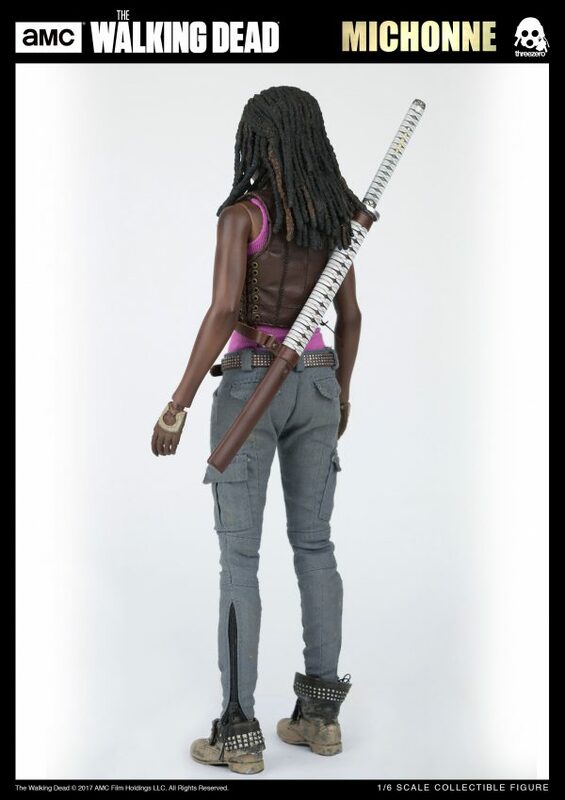 Price: 360USD / 2800HKD with Worldwide shipping included in the price. Michonne collectible figure stands approximately 12” (30.5cm) tall, it's fully-articulated and highly detailed collectible, featuring realistic likeness to hers on-screen appearance, including tailored and weathered clothing and in addition comes with Cloak, Belt, Messenger Bag and Katana sword with scabbard and strap. Collectible figure features soft PVC dermis on the arms and two pairs of exchangeable hands. 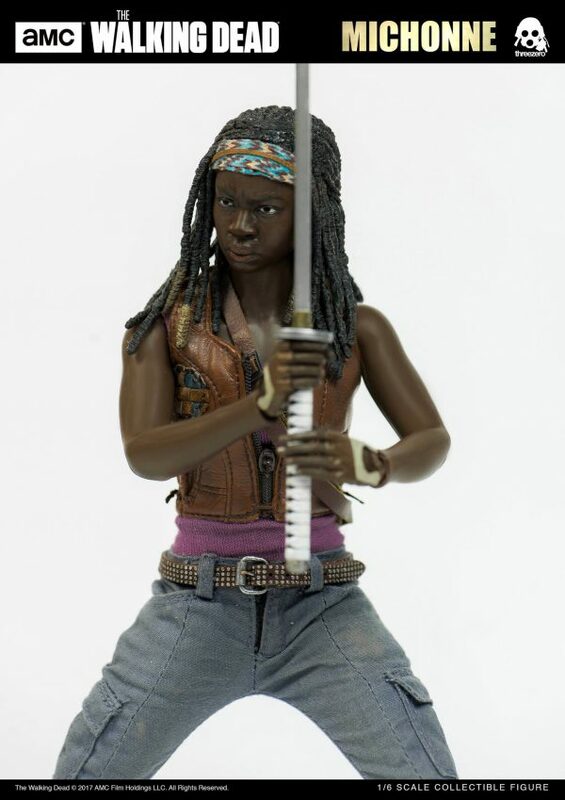 One pair of gripped hands for holding weapons.